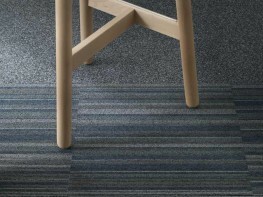 Barcode is offered in 18 colourways, each featuring five individual tonal and contrasting shades drawing from the latest colour palette of solution dyed yarns, carefully selected and blended to harmonise with a wide range of interior design schemes. 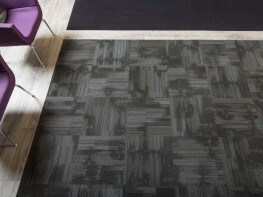 With its confident bans of contrasting colours in varying widths, Barcode challenges the uniformity and rigidity of conventional linear low level loop pile tiles, and delivers a more eclectic and exuberant look that it right on trend for today’s commercial environments. 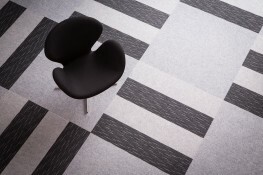 Further enhancing the versatility of this attractive floor covering, Barcode can be laid in a variety of styles including brick, tessellated, quarter-turn or the quirky alternative, quarter-brick, to create a range of different aesthetic effects. 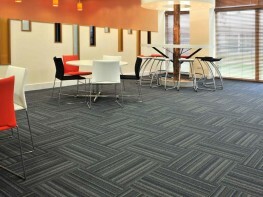 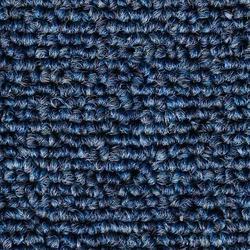 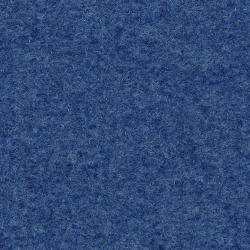 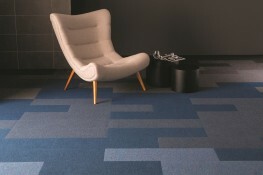 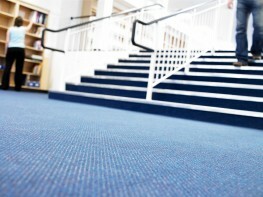 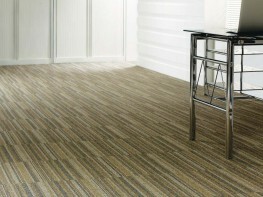 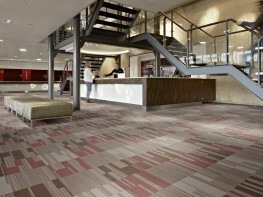 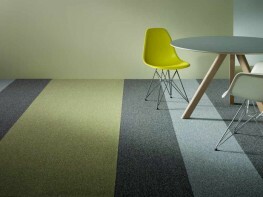 Tessera Barcode carpet tiles are available in a 50x50cm format. 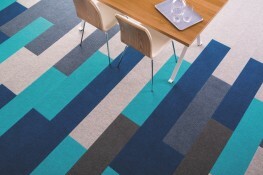 The recommended adhesive for Tessera Barcode carpet tiles is 540 Eurosafe Special. 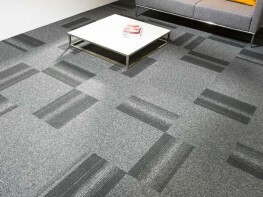 Tessera Barcode can be installed in several methods, including brick, quarter turn, tessellated or quarter brick. 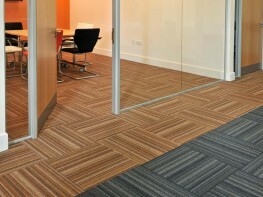 Tessera carpet tiles can be installed alongside Forbo’s Allura Flex luxury vinyl tiles using the same tackifier and without the need for transition strips, providing a fully integrated flooring system across varying application areas.